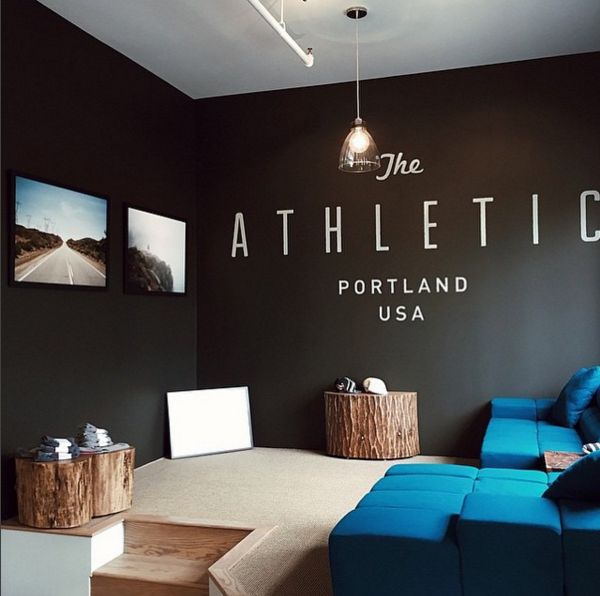 I enlarged and painted local boutique The Athletic's logo to a wall in their Pearl District shop. Jeremy Dunn of The Athletic asked me to paint a Geoff McFetridge piece on a wall of their Pearl District shop. 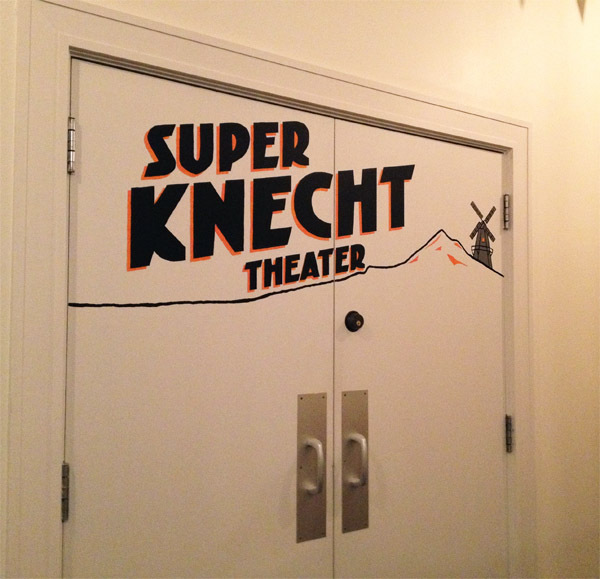 Designed and painted the theater doors at Rapha's North American headquarters. A selection of large scale commissioned works.